Nokia’s MeeGo device was considered to be Espoo’s main focus up until February when Stephen Elop shook the mobile industry with the announcement of Nokia’s transition to Windows Phone as its main platform. But even then the ex-Microsoftite confirmed that an experimental MeeGo gadget made by Nokia was still to be released. 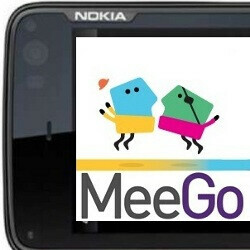 Some three months have passed and things on the MeeGo front for Nokia have been dead quiet. Yesterday however, executive VP in charge of Nokia’s Smart Devices, Jo Harlow, reassured us that not only is a MeeGo device coming, but that release date should be soon: "You're going to see the first MeeGo device soon." Harlow spilled just enough to get us intrigued without giving any hard specifics: "I'm not going to comment on what's been floating around the Internet. It'll be more of a high-end device that certainly will attract the early-adopter geek. I think there's some innovation there that we believe captures the imagination." And rightly so as the Internet has been quite controversial with rumors suggesting the device could be among the first handsets sporting an Intel Atom processor, but it could also be with or without a full QWERTY keyboard, so nothing – even the name which was to be either N9 or N950 – is certain yet. Harlow summed up that MeeGo was far from mature to build a whole portfolio around it, but could it have reached that stage for smartphones alone? We’ll surely to hear more about this soon. Can't wait to see/have this meego device from nokia.